There has been a lot of commotion in the SEO world in the past few months. With the release of Google’s latest algorithm, Penguin 2.0, the rules of the game have changed significantly. Penguin’s release may not have been the thunderstorm that most site owners expected, and although certain sites plummeted in the SERPs, most ethically build pages have actually reported a positive increase. This is probably because most web developers have finally understood that there is no way to cheat Google, and it is better to invest in good-quality search engine optimization strategies. In addition to this, a new concept entitled “Social SEO” is becoming increasingly popular. All these changes point to an increased importance for the Google Authorship markup and social media practices (which can be made easier with the help of social media monitoring tools). Basically, by assigning authorship to your content, internet users will see an image associated to your articles in the search engine. Obviously, Google Authorship is much more than a pretty picture. It is actually Google’s way of knowing that you, the individual have published that particular article. It is also closely related to the Author Rank algorithm, which is apparently trying to filter results according to the credibility of authors. From a visual point of view, the markup will stand out in SERPs, and it will definitely help you attract more visitors. This feature may be a little difficult to implement, but it will ensure that you leave your footprint in the industry. It is actually predicted that prolific authors will show up more and more in search engine results, and this will definitely improve click-through-rates and organic traffic. Not to mention the fact that you will gain individuality and you will no longer be that faceless creep who posts articles. The World Wide Web was very different a few years ago. Pages would gain more authority if they were linked to higher authoritative sites. It was considered a vote of confidence passed from site to site. Sadly, unethical link builders soon started to pick up on this and they began to manipulate search engines, pay for links or create link farms. This is exactly why the Penguin algorithm was invented. This web-spam fighting tool has made it impossible for people to abuse the search engine like the same way that they used to in the past. This is important because it will help you better understand the crucial role of Google Authorship. Link-building campaigns usually involve guest-posting for different sites that are related to the product that you are trying to promote, but it is predicted that the credibility of the Author will be more trusted than thousands of links on random sites. One thing that hasn’t changed (and will probably never change) is the power of high-quality content. This means that if you associate content to your name, you’d better make sure that it is good content, or else you will receive negative social signals, which will affect your SEO performance. 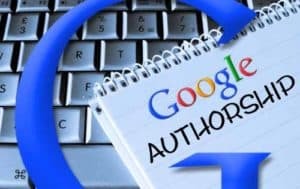 Check comments and guest posts: A great feature of the Authorship markup is the fact that you can check how your articles are doing from the Google+ tab. This way you can respond to comments easier, and track the social media signals it has received. Rank for various topics: You don’t have to write only on one niche if you decide to use the Author Markup. If you decide to write on 2-3 niches, the other niches will not weigh you down. Nevertheless, try not to write about too many things because you will lose credibility. Build a Loyal Readership: The simple fact that your mug shot appears next to the search engine results is the first proof that you are actually human. Subsequently, if you have great content, people will most likely remember you, or star to follow you. Avoid Plagiarism: I can’t remember how many times I’ve seen duplicate content online. The authorship markup works like some sort of copyright mark that will protect your content from theft. Establish Authority: The social proof is hard to deny! If you have 50.000 followers on Google plus, you will obviously rank better than a writer who only has 5000 followers. It may not be the best solution but it is still an improvement. In conclusion, the only impediment to claiming authorship is the fact that it is a little difficult to implement. Nevertheless, there are many online tutorials that will definitely help you get started. What do you think about Google Authorship? Author Bio: Anna Robeson has worked as a freelancer for a few years, but she has recently teamed up with digitalnetagency.com. She likes to spend her free time reading about the latest news related to technology, eat fruit and jog. Appreciate your viewpoints though, great job! 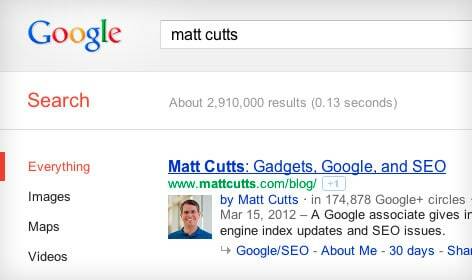 I hadn’t come across Google authorship before reading this but i am going to sign up now. Just wanted to say thanks for the heads up. Your post will surely encourage more bloggers to sign up for Google authorship. I also encountered some blog owners who will not accept guest posts, no matter how good an article is, from bloggers who have no verified Google Authorship account.